Someday My Favorite: Ila is Twenty-One Months. This girl. She is on the brink of many things--speaking more completely and using the potty topping the list. She loves her baby brother fiercely. She picks fights with her big sister and thinks it is hecka hilarious. 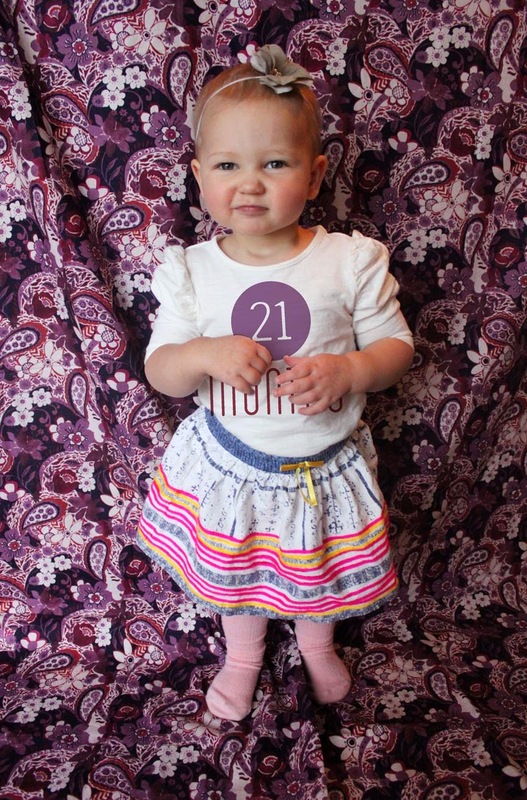 She is a gem and she is twenty-one months old today.